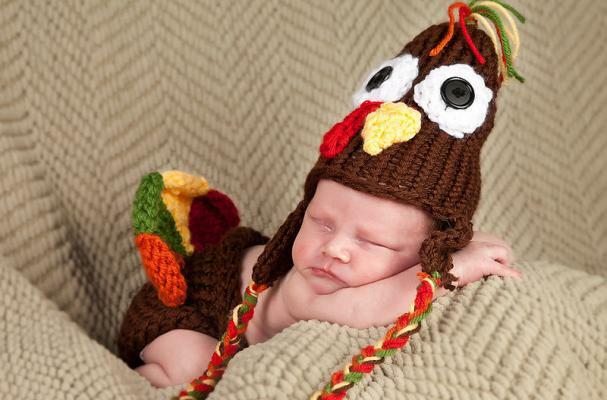 This Thanksgiving, turn your tot into a turkey with this hat and diaper cover by Ava Girl Designs. The handmade diaper cover features "feathers" in an autumn palette of maroon, yellow, green and orange, while the hat boasts button eyes and yarn tassels. The Thanksgiving-themed hat and diaper cover cost $70 (or the cost of yarn, if you're good with knitting needles and have some time to kill). Thank you so much for featuring my baby turkey set it means a lot to me!